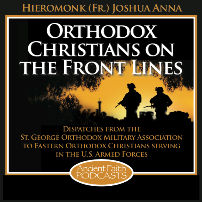 SGOMA’s podcast series “Orthodox Christians on the Front Lines” is now live, up and running on Ancient Faith Radio (www.ancientfaith.com). The initial episode is now available for listening. New episodes will air every other week. Look for the next episode on May 19th or 20th. This podcast series is also available on iTunes, just search for “Ancient Faith Radio” and then look for the “Orthodox Christians on the Front Lines” podcast and subscribe to it to get all the future episodes on your iPod/iPhone. 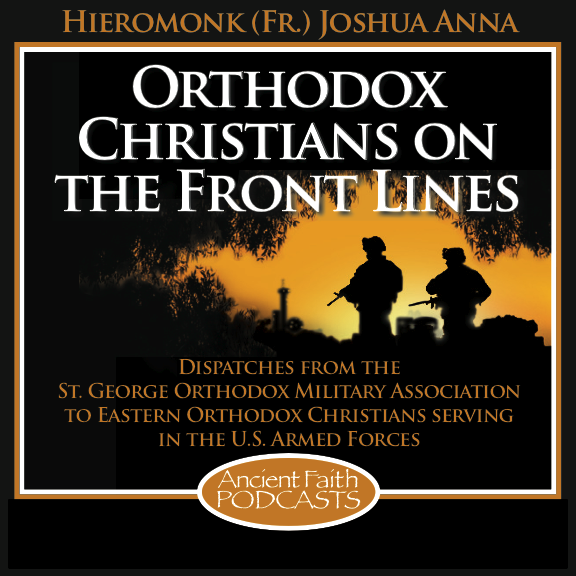 In this first episode Hieromonk Joshua and Subdeacon Vladimir Laven discuss the origins of the Saint George Orthodox Military Association; the need to assist our Orthodox Armed Services Members, their dependents, and those who have served; increasing the size of the Orthodox Chaplaincy that serves our military; and some of the goals and outreach programs of SGOMA. This podcast was recorded back in the beginning of January 2010. It was Hieromonk Joshua and Subdeacon Vladamir’s first ever attempt at doing a podcast. It is hoped that over time, and as they do more podcasts, that they will get better and present more of a professional, enjoyable and educational feel to the podcasts.